Make this Easter Disney color page come to life! And use all the colors of the rainbow. 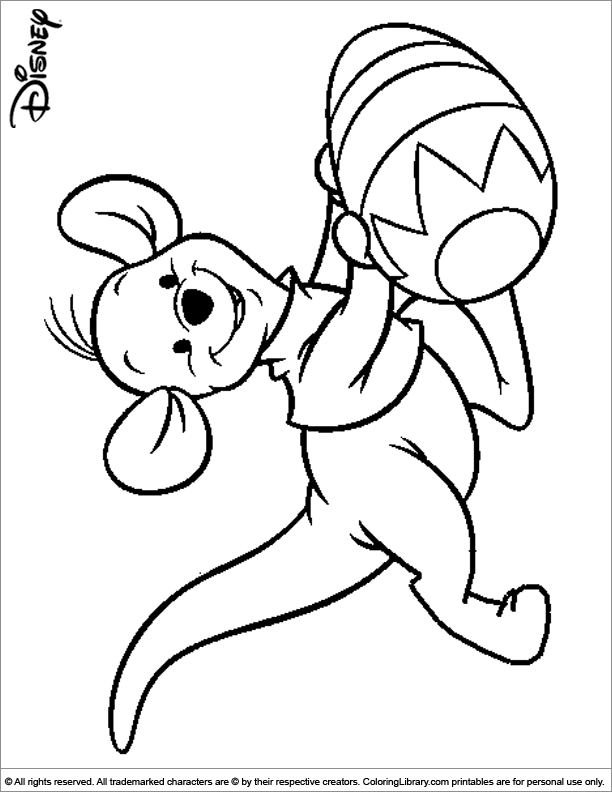 Have a fun time coloring this picture with your friends! Press the print button and start coloring this Easter Disney color page. You will be surprised at how quietly kids will sit and color away for a long time, especially when they have coloring sheets which are interesting to them. More free Easter Disney printables can be found in the gallery.